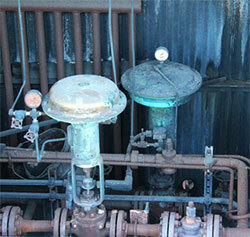 So, what happens to old automated valves and their actuators when their service life is over? Or if the facility they serve closes down? Most meet their fate by being hauled away and recycled — that is — melted down as scrap. In the worst case, they are laid to rest in a land-fill amidst the stench and unpleasantness of society’s trash. A lucky few will be refurbished to find a new purpose elsewhere. Some will be left right where they are to deteriorate over time, enduring the elements, unseen, unheard, and unappreciated. A very select few automated valves retire to museums based on the importance of the establishment that once employed them. That is the case for these old timers. These diaphragm actuated globe valves had sat idle and lonely for almost a decade in the exact location where they were once part of a thriving industrial plant that changed the world. It is there that they remain, however, these days they are not so lonely. 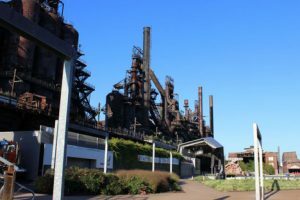 The Bethlehem Steel in Bethlehem Pennsylvania finally closed its doors in 1995. This facility was an important part of many changes that shaped the world that we live in today. “The Steel”, as it was and still is referred to by locals, produced much of the steel products used for war and to build America’s greatest cities. This includes massive sixty foot gun barrels that fired 14 inch, 1800 lb. shells over twenty miles from U.S. war ships. Other products included rail lines, and structural pieces for many of the most famous bridges in the United States including the George Washington and Golden Gate. The most important steel product that came out of Bethlehem was the wide flanged beam. While typical beams were referred to as “I” beams due to their shape, these wide flange beams were called “H” beams. The longest in the world at the time. Known as “The Bethlehem Beam”, these beams were twice as long and considerably stronger than those being manufactured elsewhere. The Bethlehem Beam gave architects the freedom to reach for the sky. 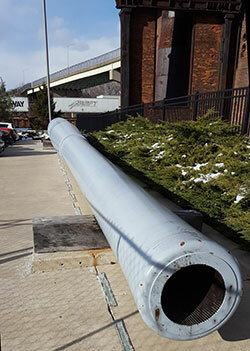 Beams produced at Bethlehem Steel can be found in many of the iconic buildings that make up New York City’s skyline, including the The Chrysler building and The Empire State Building. After closing, years passed while these valves sat quietly in the abandoned plant right in front of the enormous blast furnaces that they used to service. Then, in 2007 The city began a revitalization program to bring new life to this location. 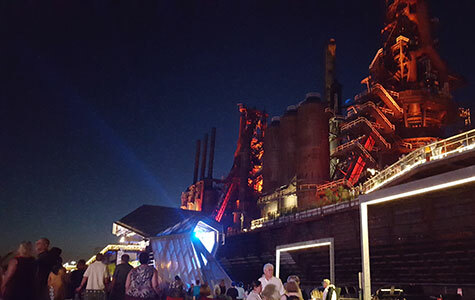 The new purpose chosen includes an arts center called ArtsQuest, a Smithsonian National Museum of Industrial History, the Sands Casino and a musical performance venue called Levitt Pavilion that features the blast furnaces, majestically lit at night, as the backdrop. This location now draws hundreds of thousands of guests per year. 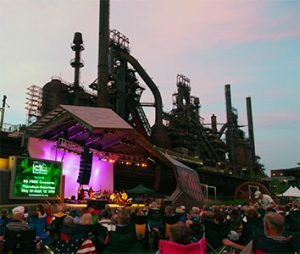 It hosts dozens of events each year including fifty free concerts in the summer, a handful of themed festivals, and is part of MusikFest, the 2nd largest music festival in the country. The most recent addition to this location, and most exciting for these retired actuated valves, is a new walking museum, the Hoover-Mason Trestle. 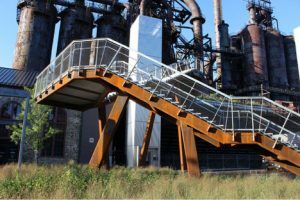 A metal (steel of course) boardwalk style walkway now runs between the music stage and the blast furnaces. This walkway runs along the factories rail line that was used to transport iron, limestone, and coke – the raw materials used to make steel, from the supply yard to the furnaces. The new trestle allows visitors to get an up close and personal view of the facility and all of its equipment. These old valves are prominently displayed just feet from the guard rail of the walkway. They will certainly cause many visitors both young and old to ask “What are those?” or “What did they do?”. The easy answer: “Make Steel!”. It looks like these retired actuated valves and actuators have a bright future being “in the spotlight,” literally, for many years to come. If you ever have the chance, I highly recommend stopping by to visit these old valves and taking a moment to imagine what they and their surroundings looked like, sounded like, and smelled like back in their glory days. While you are there, take a moment to salute these valves, along with the stacks, and the men and women who labored amongst them, for having played an important roll in building and defending America. See how these old valves and actuators have been given a new life as stars of a walking museum at the steel mill they used to serve. 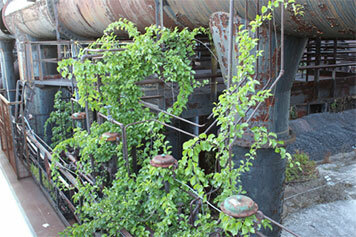 This entry was posted in Latest News and tagged Actuated Valves. Bookmark the permalink.